Bettina Drummond is one of the founding members of the Association for the Promotion of the Art of Horsemanship in America. APAHA is dedicated to supporting educational opportunities that advance horsemanship as an art form in America. By providing opportunities for professional riding teachers and trainers to learn on trained horses, APAHA is working to ensure that horsemanship as an art form is preserved for future generations. The article below helps to explain the mission of APAHA. The first is the notion of refining an idea on a trained horse. In the initial years of my riding career, it was on my mother’s trained horses that I was given the opportunity to feel on horseback. After my mother s death, my teacher, Nuno Oliveira, continued to provide me with the opportunity to perfect my feeling on horseback by letting me ride his personal horses, which had the benefit to him of giving his back a break. This was also the start of a different relationship between us. Oliveira became not just my teacher but also a benevolent and amused mentor who nurtured my development as a rider. I finally got to ask questions on the right way, meaning questions related to understanding about being in the moment and at the right juncture of learning – that is, I could learn as my body imprinted reflexes and absorbed the significance and impact from the horse’s perspective. This type of biofeedback from the horse, followed by explanations of how deep to go physically and psychologically trains you to keep the focus to and for the horse. Providing an aid through a trained horse gives all sorts of opportunities for guided dialogue. And equally importantly, you have the comfort of knowing that you do not have the task of training the horse, you are merely to experience his knowledge and feel your way through mistakes instead of around them. Mistakes are part of learning, but you must be able to make them and be corrected in a safe way. Under Oliveira’s guidance I was allowed to make the mistakes I needed in order to learn but always under the watchful eye of my mentor. This experience in my riding career made me see the value in having access to trained horses that can be teachers but with the learning guided by an experienced mentor. The second notion behind the idea of APAHA is to collect, preserve and teach from a body of experience that can provide in a Socratic and responsorial fashion the answers riders should seek once they have managed to link feel to technical components. Discovering these answers takes time, which is why in the APAHA program this is seen as a two-year progression. The idea of this educational phase is for young trainers to participate in APAHA educational experiences four times a year for one to two weeks. Participants in this APAHA educational program an also opt to also take classes during nearby APAHA sponsored clinics. These two years of study are linked to what I learned in my time with Master Oliveira – the value of learning under an experienced eye. This is a time that also allows you to feel your way around mistakes that are about to happen because of lack of experience and mileage, but it all occurs under a watchful eye that will tempers your ideas and can pull you back from the abyss of crassness in time to save the horse from suffering the fallout of your learning. Oliveira’s generation called it godparenting the young trainer. In loco parenti the master awaits the apprentice trainer’s budding ideas and does not blunt them too far but judiciously prunes them. And then, the master answers the design questions of this garden being planted by the apprentice but allows the design to be a personal creation. What is described here is a state beyond what many consider teaching and it is a state that is very hard to explore if you are trained very young. It requires not only that you stayed capable in your own riding of reexamining your effects but also that you put yourself in a state of causality. You must also learn when to let the major blunders happen. I wrestle with this in every coaching session. But doing so makes me get back in touch with the equine’s moments of complete rejection of the human endeavor. It is a symbiotic relationship between master and apprentice. 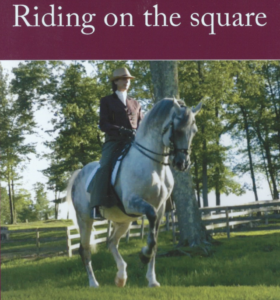 The young trainer receives grounding, a compass and also understanding of the horse’s balanced efforts in the transition that is hardest to make – that of becoming flexible enough to attempt sustaining an idea of self-carriage and impulsion. The older trainer gains rejuvenation of perspectives and awareness of the steps trod so long ago in the training sequences. And, the older horses re-knits the threads that habit had frayed and refreshes his amusement at the human endeavor. The third notion behind the APAHA concept is that of learning to teach on the personalized learning curve you are going through. 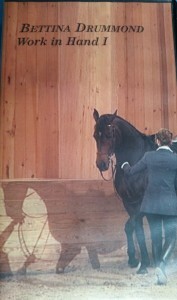 It is very difficult to learn technique in a way that imparts its impact to all horses in all forms of training. It requires that the trainer be a communicator amused by frustration. It also implies that while you are struggling to learn yourself, you are just as keen to help others learn at their level. A part of this also relates to being a listener of horses. That is, being one with the ability to home in on blockages and chip away to find both the physical and psychological sources. The APAHA program is particularly open to professional clinicians who operate throughout the U.S. at very basic levels. It allows them a respite to work on their own riding, to bounce off an experienced mentor their own ideas on technique and the questions and thoughts in their minds. For such teachers, APAHA seeks to provide them with a truly unique educational opportunity by linking them with breeders who support the APAHA mission. The breeders’ co-op loans out young horses so that APAHA students are provided with an opportunity to do guided break-ins. In payment for this educational opportunity, these teachers in the APAHA program commit their time to participating in APAHA workshops to educate other teachers. In essence, teachers who become students in APAHA programs also then become teachers to other teachers who participate as auditors. The workshops also feature teachers from differing backgrounds who are there to give APAHA riders exposure to other perspectives and ideas on riding and horsemanship. It broadens the education of APAHA riders even as they work to focus on their unique educational goals. You can learn more about APAHA and how to support the organization by visiting APAHA’s website at www.apaha.us.